ShutterstockMonthly payments on most HAMP loans will rise as much as $1,724, and might leave some borrowers struggling. At-risk homeowners who took advantage of the federal government's emergency plan to help them stave off foreclosure during the housing crisis have a new problem: looming interest rate increases. Banks began sending notices in June, warning that rates for these homeowners will soon rise, and with them, monthly mortgage payments -- by an average of about $200, or nearly 25 percent. Both the increases and the number of homeowners hit by them will be staggered, however, so government officials are hoping the impact will be muted. Still, four states will be hit with half the nearly 800,000 mortgage payment increases overall -- California, Illinois, Florida and New York -- and monthly payments will eventually rise as much as $1,724, so there is certain to be some struggle when the resets hit. Median monthly payment on the loans will climb from $773 to $989, according to a report issued by the Special Inspector General of the Trouble Asset Relief Program. The Home Affordable Modification Program, also known as HAMP, born at the height of the housing crisis in 2009, gave struggling homeowners the chance to modify their mortgages through a series of adjustments -- most commonly, interest rate relief that decreased rates to as low as 2 percent. Banks received incentive payments from the government for each modified loan. The rate relief was not permanent, however. The HAMP program calls for modified loan rates to climb back up to market average rates on the five-year anniversary of the adjustment, 1 percent each year. The maximum rate will vary, but for most HAMP borrowers, it will be around 4 percent or 5 percent. 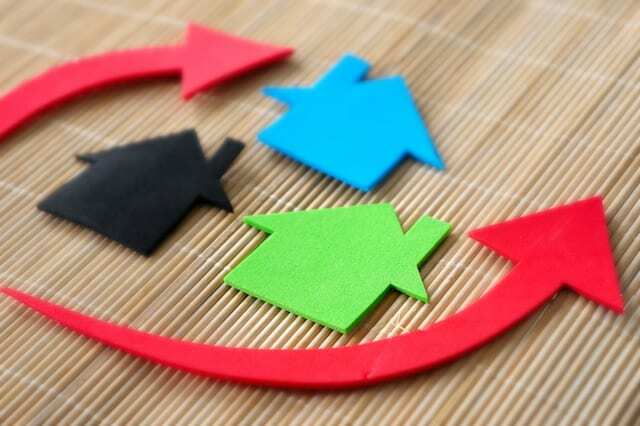 That means buyers whose loans were modified in 2009 will see their mortgage interest rates rise to 3 percent this year, 4 percent next year, and so on. The first set is slated for adjustment in October. Banks must warn mortgage holders 120 days in advance, meaning the first official notices were sent out at the start of the summer. A second warning note will arrive near Labor Day. "The majority of HAMP borrowers will experience two or three resets," said Mark McArdle, chief of the Homeownership Preservation Office, in a Treasury Department blog post. The increases will hit 88 percent of homeowners who took advantage of HAMP -- a total of 782,000 mortgage holders. Only 30,000 HAMP loans will reset in October, because very few HAMP loans were approved during the program's first year. The biggest glut of HAMP resets will come in 2015, when 319,000 homeowners who got HAMP loans in 2010 will face increases. The increase does not impact the roughly 5 million mortgage holders who had their loans modified through "proprietary" programs controlled directly by their banks. McArdle said the Treasury Department is ready to act if the loan resets threaten to trigger more housing trouble. "We will monitor the interest rate resets to ensure that if signs of homeowner distress arise, servicers are ready and able to help by providing loss mitigation options and alternatives to foreclosure," he said. Back in March, Treasury ordered larger banks to offer financial counseling to mortgage holders, he added.